People who work in construction are often faced with the question of whether to rent their heavy equipment or buy it. This is a question that has been debated for a long time, and answers differ in every case. However, in most cases, it is better to rent heavy equipment than to buy it. Here are the top three reasons why. When you break down the costs of renting compared to buying, renting is almost always cheaper than buying. The initial cost of buying a piece of heavy equipment can take a huge chunk out of a company’s budget, which can sometimes hurt the company. Renting equipment doesn’t require a huge cost upfront, which allows you to save the money you would have put down in a purchase and use it for other needs your company may have. Renting heavy equipment also saves you money in maintenance and repair costs. When you rent a piece of heavy equipment from a rental company, the cost of maintenance and repairs is much cheaper compared to having to do maintenance and repairs on a piece of equipment that you own. 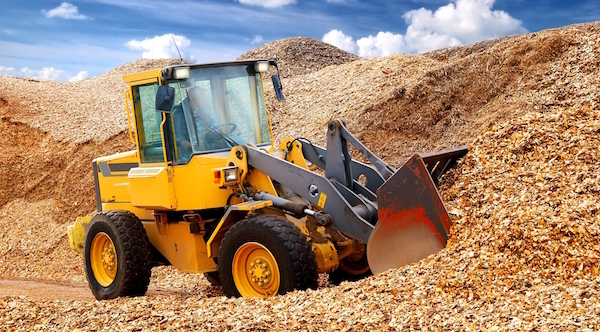 If you own a piece of heavy equipment, you have to deal with staffing for it. This means you’ll have to hire a mechanic to fix it when it has problems. You also have to pay for storing and transporting it, which can be very expensive because the equipment is usually so large. Most rental companies also cover the costs of insurance and taxes on a piece of heavy equipment, which is another way in which you save money. If you own a piece of equipment, you have to pay for all of the insurance and tax costs, which can be extremely expensive. Most construction companies use lots of different kinds of heavy equipment to get their jobs done. If you choose to purchase your equipment, this can add up to be remarkably expensive for a company. If you rent your equipment, you can usually rent several different pieces of equipment for the same price or as or less than buying one piece of equipment. Another thing to keep in mind when you’re trying to decide whether to rent or to buy is that construction companies usually have several different jobs happening at one time, and they’re often not anywhere close to each other. If you purchase a piece of heavy equipment, you can have it at one job site but sharing it with other job sites would mean paying for it to be transported there. Not only do you have to pay to have it transported there, but then you are left with several other job sites that don’t have that specific piece of equipment. Because renting equipment is so much cheaper, lots of companies are able to rent a few of the same machine and use them at the same time at different job sites. When each job site has the equipment it needs, jobs can get done quickly and more efficiently, and then new jobs can be started faster. This means that money can come in faster, more equipment can be rented, and other company costs can be paid. If you purchase a piece of equipment, you are stuck with it until it is unusable, or you decide to sell it. Because new equipment is always being developed, your purchased equipment will probably get outdated within a few years because a new and better model will come out. If you choose to rent your equipment, you’re not tied down to any specific piece of equipment and can rent the latest and greatest models of whatever equipment you need. The newer models usually have better technology that helps you get your jobs done better, which is a huge benefit to construction companies. Companies that purchase their equipment usually just make do on a job with the equipment they own. While this can work sometimes, it’s often better to do the job with specialized equipment. It’s faster, more effective, and can save you money because you’re only using a few pieces of equipment. Renting your equipment enables you to use the newest models of the specialized equipment without having to worry about purchasing the equipment at such a high price. Choosing to rent your equipment or to buy it can be a difficult decision, but the benefits of renting outweigh any benefits of buying. When you are faced with this question, remember that renting is cheaper, it allows you to work with more machines, and you can rent the newest models of equipment. All of these reasons can greatly benefit your company, so get out there and start renting!